The El Perro dog collar is a top quality product - handmade and resistant to strain; strongly recommended to breeders. 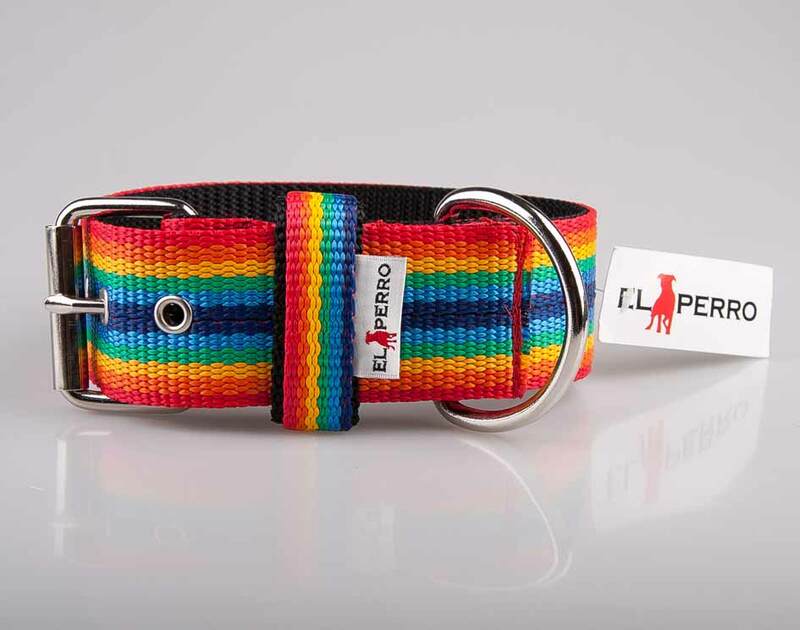 This tough dog collar consists of two core layers of Polypropylene with a design strip, offering a unique look. With Polyester stitching reinforced by 6 individual stainless steel rivets for additional durability. With hard-wearing rust-resistant forged fittings this collar is extra secure and remains soft to touch, offering your dog comfort while on the move. 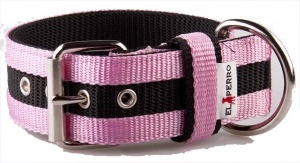 This strong dog collar is very suitable for even the largest and strongest of dogs. I am so pleased I found Big Dog World and this collar. It arrived yesterday and it fits my American bulldog cross perfectly. It's so hard to find any strong, wide collars that aren't leather and covered in studs (not my cuppa!) but this fits the bill - and, more importantly, my dog - perfectly. It's nice and strong and unlike some collars I've bought of a similar style, the eyelets are set properly. It's great for my dog's wrinkly neck and I'll be buying a spare for sure!